I was recently nominated by Sami at Flowers and Wanderlust to participate in the Liebster Award! I just nominated you for the Liebster award because I thoroughly enjoy your blog and all the love you send to mine, haha. You can find the link below. Have a lovely day! 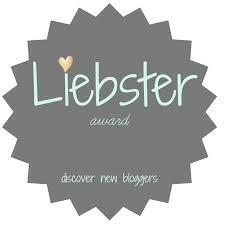 The Liebster Award is given by someone who is inspired by or enamored with another website or blog. I know a little German, but I had to Google this. The meaning: liebster is a German word that means sweetheart, beloved, or darling in English. I believe that blogging is about getting to know each other and building relationships, along with sharing knowledge. Being nominated to participate is very cool! Thanks, Sami! 2. Answer the questions that the tagger set for you, then create 11 questions for the people you’ve tagged to answer. I live in the United States, and have visited Canada, Mexico, Costa Rica, England, Scotland, Spain, France, Germany, the Czech Republic, and Italy. I want to go everywhere, but that is definitely a lofty goal. I used to be an actress, but then I decided I wanted a job that actually paid. I was with my husband for seven years before we got married. My first word was kitty. My natural hair color is dirty blonde. I like it dark brown, so I dye it, but the drama of coloring in my eyebrows everyday is awful! Shiba Inus are such trouble makers, but I love them the most of all of the dogs! I have been vegetarian for nearly 13 years. People think I will give up eventually, but I don’t see it happening. I didn’t get my first car until I was 25, and I am still driving it today. I want to drive it forever. I was home schooled from grades 8-11. Wow, starting off with a bang here… this is kind of a fluid thing for me. Right now my focus is on how I can better use my time on earth. I want to feel like I was here for a reason and was able to make a difference. What three things make you happy? My family, friends, and Shibas. Predictable but true. Are there any favorite places of yours that you have traveled? 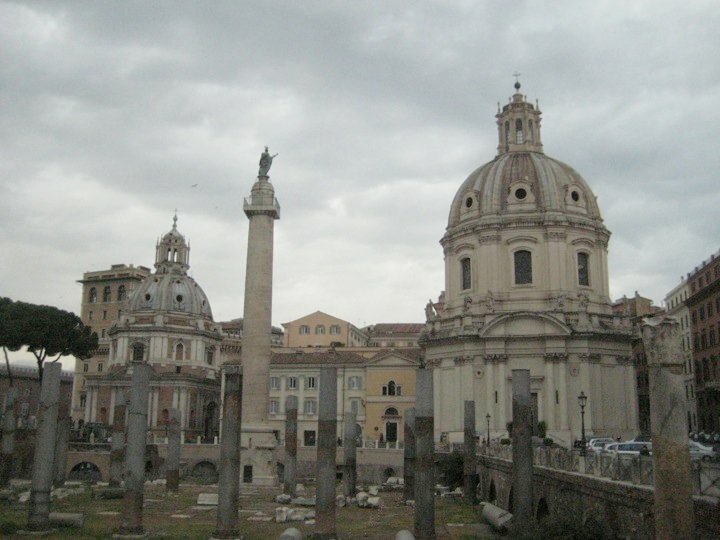 I have different favorites for different reasons, but the place I would most love to go back to is Italy. The weather, the beautiful EVERYTHING, the delicious food, the history- it’s just amazing. I started this blog in December. This is all very new to me, and I never realized how much work it really is. Bloggers are amazing! Is there a quote or lyric that has stuck with you throughout your life? Maybe not my whole life, but for the last several years my friend and I have been living by “fake it til you make it”. It’s tough entering the real world and feeling like everyone at work knows more than you, but I have realized that almost everyone feels the same way. If you just keep trying, you will realize that you know more than you think. Anywhere and everywhere, but mostly through watching others. Have you ever met an unforgettable stranger? As in someone that is still a stranger to me? I’m kind of thinking no, because nothing comes to mind. I once met the singer Deb Talan though, and I was unbelievably starstruck. She has the voice of an angel! I made an idiot of myself. What is the nicest thing anyone has done for you in the past month? Nominate me for a Liebster Award? 🙂 Seriously, I have been so excited about all of the support I’ve had for my new blog! That’s something that I’m trying to figure out right now. I’m hoping that this blog and My 35 Project will help me with a little soul searching. I spent a lot of time debating with some friends. I wanted the name to reflect the fact that I am still trying to figure things out, but I also wanted it to be strong. We played around with more girl power type things, but this one really stuck. I like that “how to be myself” can apply to me and also to readers. We’re all in this together. 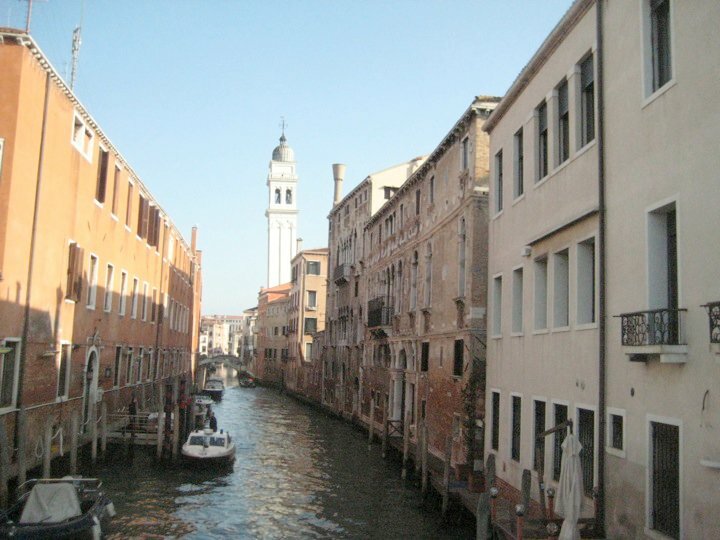 Here are some gorgeous shots that my friend M took in Rome and Venice- see how Italy is the best? Too Much Fancy she’s pretty, she’s funny, she has great style- check it out! Thanks to anyone who read to the end of this long post! I’ll post something a little lighter tomorrow. Maybe. It is Weigh In Wednesday, soooo… could be rough! Great job! Your blog is awesome! Congratulations or shall I say Glückwünsche!!! Thank you for sharing the beautiful photos and what a great list of questions. I will be adding the blog of your nominees to my reading list. Thanks! I know, lately I have been looking for these posts to find cool new blogs. It’s awesome! Thank you 🙂 You’re the best! I felt like I was being boring, it seemed so long. I didn’t even notice that. I mean, I figure anyone that hasn’t been is going to feel kind of virginal- even if they’re 34 🙂 I’m glad you think I look young! I get that a lot. My secrets are not smoking or tanning and more or less bathing in sunblock and moisturizers. You know… Not real secrets. I’m glad we’re blogging friends too! You count. You look a lot closer to 20 than I do 🙂 I want to go to Rocky Horror now, just so I can be cool like you! I’m all or nothing too often as well. 😛 I liked reading your facts. Let me know if you figure out how to be less all or nothing! Thank you so much for the nomination! I’ve been thinking about this since you tagged me and I’m not sure what to do – re: accept or not. I’m might do a “half-acceptance”…..still pondering…. But I do really appreciate the kind words – they really mean a lot! 🙂 no pressure intended! I’m glad it made you smile! I will go find it! Yay! Congratulations on this award Jillian. It always says a lot,, if a fellow blogger enjoys your blog, and wants to nominate you. Thanks, I thought so! I love the bloggers I’ve talked to so far, they are all really great. Get some sleep, you need to rest up for running!